The highly anticipated release of Selena Gomez’s new album Stars Dance came last night, and I think it’s safe to say, with much success. In under an hour, Stars Dance reached #1 on iTunes (across all genres) in Canada and the United States. Not too bad for her debut album as a solo artist (No, she is no longer with The Scene). Even with many reviewers not all that happy with the album, Selena Gomez has a very strong fan base (a.k.a. The Selenators), and they absolutely love Stars Dance... at the end of the day, it is only the fans who really matter. So, I won't pick the album apart. I won't criticize every little thing, but I will give my opinion. Stars Dance is different than any of Selena Gomez’s previous albums... very different. The fan in me enjoys it, but the impartial writer in me... is a little disappointed. Selena Gomez seems to be taking a chapter out of Taylor Swift’s handbook, as there is a very strong, recurring theme through almost the entire album: Loving someone... Losing someone... Then loving but trying to let go (heartache). I’ve got no problem with this. Any and all talented artists will use their own lives and emotions in their work. Without emotion, the work would be shallow and weak... as a writer, I was always taught to “write what you know-write what you feel,” and the rest will follow. So, I don’t fault Selena for this at all. I find it adds strength and depth to the songs. Besides, it takes a very strong person to share such personal feelings with the world. But setting this theme aside, the album, for the most part, is actually pretty well done. Stars Dance has a very prominent club feel to it. There is a bit of a pop, but mostly dance, with some techno and AutoTune mixed in... another reason I am disappointed. I adore Selena's voice and love her ballads, and unfortunately, this album has only one quasi-ballad. Most of the songs are upbeat and catchy and are worth the download, but there are a couple that do fall short. Like a Champion was just too much dance with very limited vocals. This is the song playing in a club at the end of the night after everyone is drunk or has gone home. B.E.A.T. has a strong electronic vibe with way too much AutoTune. There is really no substance to this song, just techno beats and AutoTune. It doesn’t seem to fit well with the rest of the album. This is the song that should have been saved for a remix CD. The rest of the album is definitely worth a listen, with the majority worthy of being downloaded. Undercover could lose some of its electro dance feel, and the transitions between its pop beat and techno beat do not work well in making the song flow smoothly, and lyrically, I found it very repetitive, but it's still worth a listen. Forget Forever is also repetitive, but the slow club/pop beat and feel of the song seem to make the lyrics secondary. The song emotes images of Snow White and Prince Charming just being together in the Enchanted Forest... surrounded by nothing but beauty and love. It is definitely worth a listen... maybe even a download. Birthday is a great dance song, with a highly infectious beat. 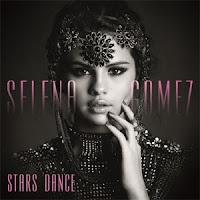 Stars Dance (The title track) shows Selena's vulnerable but broad range of vocals. It's a little slower with an ethereal tone. Save the Day just kind of grows on you after a while. 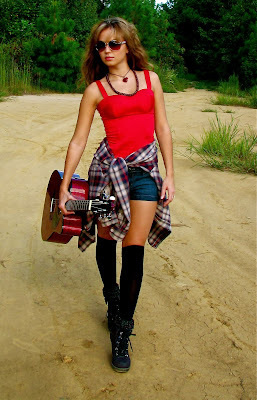 Write Your Name starts with a fairytale like tone and moves into an upbeat dance tempo. I enjoyed this one, mostly because it shows more of Selena's natural vocal talent. Love Will Remember is the closest you'll come to a ballad on this album. It is repetitive, but it's filled with emotion. I can only imagine how personal this song is for her. The two bonus tracks, Nobody Does it Like You and Music Feels Better are great. Both get you ready for the dance floor and shows more of the fun side of Selena Gomez. Come and Get It really doesn't need much said. It was the debut single off Stars Dance, flew up the charts, and simply is an amazing track. The tempo and mood changes flow effortlessly, and I honestly can't see anyone doing this song as well as Selena. Her vocals match the song perfectly. My overall favorite track off the album, however, is Slow Down. The vocals are steady and deep. The mix of dance beats and slow pop blends very well, but it is the tone and mood of the song that ranks it the best. I can almost picture Selena as she softly grips the microphone, slowly tilts her head back, and just immerses herself completely into the song. Even though I was a little disappointed, or maybe, I just expected something different, the album was worth the wait... and with Selena Gomez's 44,673,968 Facebook fans and 15,947,784 Twitter followers, this album, and any future albums, will do just fine. She is a star, and she is real. People can relate to her, and people respect her.